Neiman Marcus is an American, privately held retail chain of luxury items. It is headquartered in Dallas, Texas and provides a luxury shopping experience by offering the finest in fashion, jewelry, cosmetics, and decorative items. The first boutique was opened in Dallas in 1907 by Herbert Marcus, Al Neiman, and his wife Carrie Marcus-Neiman. The shop quickly became a success and steered the company to increase their offerings and expand outside of Texas. Throughout the years, they opened other branches, expanded their product offerings and started the Last Call clearance centers to cater offseason and after-season products. Today, there are over 40 stores and approximately 30 clearance centers nationwide. Employee benefits vary depending on their role and tenure. Most get medical, dental and vision benefits, life and disability insurance, paid time off, and 401(k) retirement plans. They can also avail of employee discounts and education or adoption assistance. Employees don’t merely stay with the company due to the prestige associated with its name. The company consistently strives to provide every employee realistic opportunities to pursue their career goals. 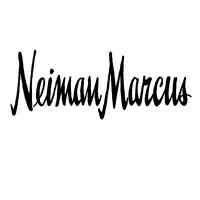 Applicants must be 18 years old and above to pursue a career with Neiman Marcus. A high school diploma or equivalent GED is required to qualify for most positions offered by the company. Sales Associate: Sales Associates assist customers and attend to their needs. They listen to customer issues and provide recommendations. In addition, they assist in developing long-term customer relationships and inform customers of the benefits of the InCircle program. They assist in keeping the store clean and organized. Loss Prevention Associate: Responsible for the proactive prevention of theft (both internal and external) as well as losses due to errors and fraud. They conduct store audits and safety inspections, communicating all relevant findings to store leadership. They create prompt reports for the audit findings, investigation results, and all reported incidents. Brand Ambassador: Assists in building sales volume by establishing and maintaining loyal customer relationships. They help build the brand’s credibility and influence how others perceive the business. Through a variety of channels and platforms, they help market the company’s product and services. They proactively interact with clients during and after a sale in order to maximize selling opportunities. Selling Assistant: Oversees the technical and administrative duties of a selling department. They manage all back-of-house functions (specifically for departments that are strict) and follow detailed operating standards and procedures. A bachelor’s degree and previous retail experience are preferred for this job. Stock Associate: A stock associate assists with stocking and receiving functions such as directs, transfers, deliveries, and customer returns. They also assist in preparing all paperwork required for the said processes. Furthermore, stock associates assist in the maintenance of all inventory in the stockroom and on the selling floor. Quality Assurance Associate: Quality associates evaluate their fellow associates’ work and check for compliance with company policies and procedures. They provide performance feedback and recommend corrective actions. They audit daily transactions completed in all departments, identify discrepancies, and make the necessary corrections or adjustments. Shipping Associate: Shipping associates handle materials for loading, unloading, and sorting. They assist in stocking and organization of products to designated areas in the warehouse. They assist in preparing products for shipment. They check whether products are of the correct quantity and appropriate quality before shipment. Customer Service Rep: Customer service representatives assist customers with merchandise and account inquiries. They inquire about customer concerns and recommend solutions from their product or service offerings. They handle the daily use of the credit systems, as well as exhibit knowledge of auditing. They also help manage the inventory and keep the store well-stocked, clean, and organized. Host / Hostess: A host/hostess handles guest restaurant arrangements from scheduling to seating. They also assist in making arrangements for guests with special requirements. They monitor the server’s performance and quality of service to ensure that it meets company standards. They help keep the restaurant clean and orderly. Service Assistant / Busser: Bussers ensure that the dining room, bus station, and beverage area are kept spotless at all times. They also ensure that guests’ dining needs are attended to. They clear tables and take used plates, glasses, and utensils to the kitchen for washing. They also set tables for guests. Applying for a job with Neiman Marcus is easy. Visit their Careers page and search all job openings. Identify the career track you want to pursue from their selection of retail jobs, warehouse jobs, customer service jobs, and more. Once you find the job for you, click “Apply for Job” and a window will pop-up asking you to input your name and email address, how you found out about the company, and whether you were referred for the job. After clicking, “Start Your Application,” you’ll be directed to the careers page. Fill out the application form with your personal information, educational and employment history. You’ll be asked to upload your resume and supplementary recommendation letters. Before sending your resume through the company’s employment portal, check whether it’s accurate and up to date. Inconsistencies between your personal information sheet and resume may ruin your chances of getting the job. The company will contact you for a phone interview or arrange a personal interview with the hiring manager. During interviews, highlight your retail experience, as well as any skills that will help you in the role you’re applying for. “It’s never a good sale unless it’s a good buy.” This is the founder’s main philosophy that lives on with its employees. They take pride in keeping their high product quality and customer loyalty. Geoffrey Van Raemdonck was announced as the company’s new CEO. These are challenging times for the company, but people are hopeful that the company’s strong core elements and his guidance would lead to growth and progress. The company is known for the Christmas Book—an annual Christmas catalog of non-traditional and lavish gifts. It started in 1939 and has included several fantasy gift items such as a submarine and mummy cases with an actual mummy. The Heart of Neiman Marcus Foundation is an initiative that supports organizations that enrich art education. They see the arts as an effective medium towards achieving better school performance and honing problem solving skills.